Home / Savings Blog Posts / Holidays / Christmas Recipes / Double Chocolate Chip Pound Cake Recipe! Check out this Double Chocolate Chip Pound Cake Recipe for one of my favorite Homemade Cake Recipes! This Double Chocolate Chip Pound Cake Recipe is perfect for the holidays or any easy dessert recipe! It’s super simple to make and everyone will love it! This is one of our family favorite recipes (especially for the holidays). We make this for Thanksgiving, Christmas, New Years, and for Family Birthday Parties! If I am having my small group friends over to my house then I know this is an easy go-to recipe that will definitely be a crowd pleaser! 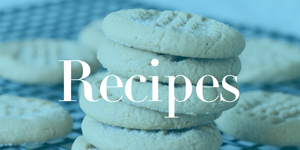 Also, be sure to check out even more of my favorite Easy Dessert Recipes! Pour batter into a greased bunt pan and bake on 350 Degrees for 1 hour. Combine Butter & Cocoa till well mixed, Add in Powdered Sugar and Milk slowly (Alternating between the 2) until everything is well mixed. Pour Frosting over cooled cake. Try this recipe tonight to share with your family! If you love Chocolate Cake, this is a must-try Double Chocolate Cake Recipe. You can always leave the chocolate chips out of this recipe, but I personally like them in there! Grab a Bundt Cake Pan at Amazon for all of your Holiday Baking! Receive Free Shipping with Amazon Prime, or Free Super Saver Shipping on orders of $35 or more! Also, be sure to check out this Puppy Chow Cookies Recipe! Mmm! This is the perfect twist on a snack recipe that we already love!